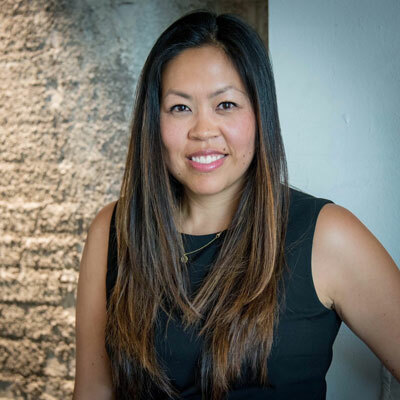 As the Vice President of Telesales, Lisa Yu is responsible for managing and mentoring Softchoice's Telesales organization, which spans across North America and focusses on Softchoice's mid-market and enterprise customers. She oversees the strategy, execution, and productivity, as well as the coaching and development, of more than 165 inside sales reps and sales managers. Ms. Yu joined Softchoice in 2003 as an Inside Sales Account Manager, and quickly progressed through increasingly senior sales roles as an Outbound Sales Representative, Territory Sales Manager, District Sales Manager, and Director of Telesales. In each stage of her career, she distinguished herself as a top performer, which translated to numerous Softchoice leadership and performance awards. This includes winning Softchoice's coveted Tie Jacket Award for outstanding leadership in Outbound Sales, and seven trips to President's Club, which is Softchoice's most exclusive incentive program that recognizes top achievers for their accomplishments over the previous year. Ms. Yu graduated from the University of Washington, Foster Business School. She resides in Seattle with her husband Chris and their two children. I think there are two ways an executive can influence the business. First, I believe it is critical to create a strong management team that represents the values and vision of the organization. I have an incredible group of people that I work with each day that are passionate about their people and the business. It is my job to not only ensure I have the right people in role, but to provide them with opportunities to apply their best selves in their work and mentorship of others. A more direct way I've helped advance our channel business is in how our Telesales organization serves our customers. We have achieved double-digit growth in Inside Sales each of the past two years, which has been driven by our focus on core channel products. But rather than simply re-sell product, we continue to focus on providing complete IT solutions that address the business challenges our customers face. Our people are extraordinary, and the level of accountability they bring to our customers is above and beyond. We also began planning for an evolution in our coverage strategy in 2016, which we rolled out this year. I believe we are poised for continued growth this year, which is very exciting! My aspirational goal for 2018 is to continue to grow our product business - Client Software & Client Hardware by 20 percent. There is a great deal of opportunity within our existing customer organizations and to continue to take market share across the US and Canada. We continue to have an opportunity to diversify the solutions we sell, to expand our accounts with our professional and managed services, and to ensure we are the go-to partner for every customer's day-to-day business. There are three standouts in my mind. The first two are Shawn Trotter and Stephanie Dinsmore. Both are high-level executives in their respective organizations. Both exude professionalism and intelligence, and they are incredibly grounded. When they speak, I listen. Lastly, I admire Sara Onyschuk, Director of Business Development at Softchoice. She brings a level of energy that is infectious. She is a servant leader who influences with her authenticity. I admire how each of these women approach life, family and work. I would tell her to be patient and follow your instincts. Everything will work out. I placed a lot of undue pressure on myself going back to when my father passed away when I was nine. I spent a lot of time in my young adult years worrying about the future and contemplating how I would choose a successful career path and become financially stable. Looking back, I have absolutely no regrets, and I am incredibly thankful for the direction my life has taken. Core to my role is to be a net exporter of talent. I don't believe this is a new skill for me, because I take a great deal of pride in developing people. However, if I could master a single skill, it would be the ability to execute this each and every day and scale it to support more and more people. Our people are a reflection of who we are as leaders and this would be a true testament of success. Living On Purpose, by Nancy Trites Botkin It is a great compilation of stories about "wonder women" who may not have known it, but were all looking for their purpose. When they found that purpose, they were able to do their best work and be able to impact a larger circle of people. I especially enjoyed this story because it was perfectly timed with my career. When you work to progress in your career and climb the corporate ladder, the path in the beginning is easy to find. It's fairly clear how you need to develop and how to get where you want to go. As I reached more senior roles, I found myself needing more than a sales target to feel like I was making an impact. Having been with the same organization for 15 years, I needed to reevaluate what my real purpose is and why I do what I do. Being able to center on a new purpose gave me a renewed energy to give back to other women, and the greater technology and sales community.